Skye Gravestones | Hugh & Margaret (Mackinnon) Campbell. 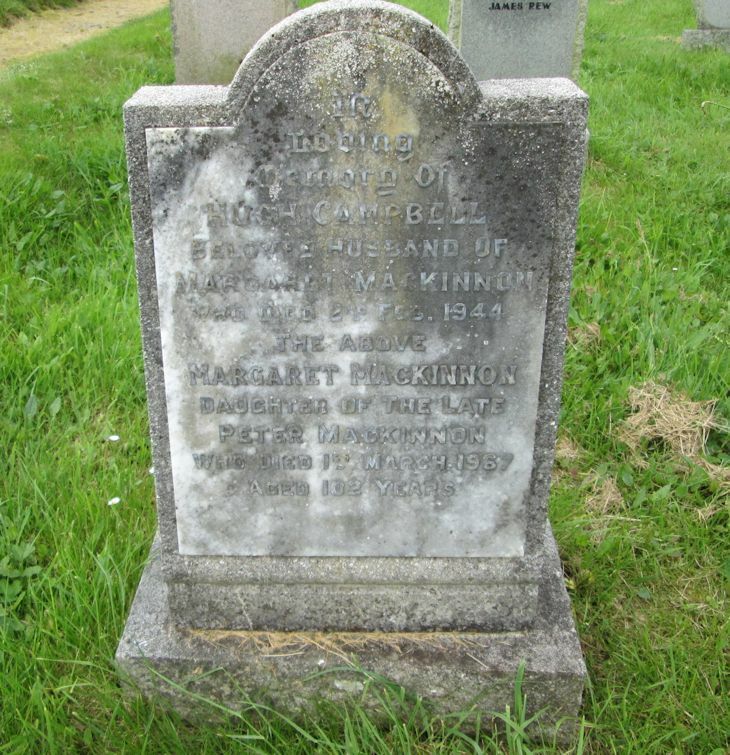 Hugh & Margaret (Mackinnon) Campbell. In/loving memory of/HUGH CAMPBELL/beloved husband of/MARGARET MACKINNON/who died 2nd Feb. 1944/the above/MARGARET MACKINNON/daughter of the late/PETER MACKINNON/who died 1st March 1967/aged 102 years.